C'est Magnifique Scrapbook Kits and Store: December Bits & Pieces Give Away! December Bits & Pieces Give Away! 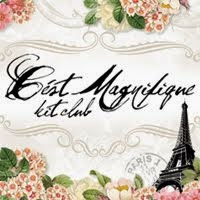 The owner of C'est Magnifique Kits, Leslie, is very generous with our blog readers. Each month she gathers up the bits and pieces from her kit, and offers to send them to one of you. This is what she has remaining from her December Kit, "Holiday Magic". 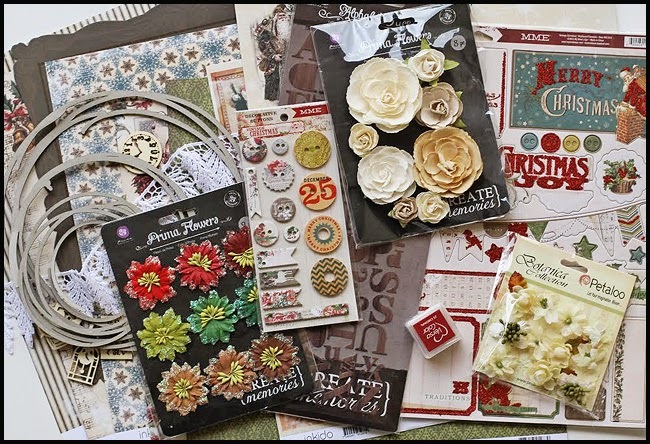 What a huge collection of patterned paper from Inkido and KaiserCraft, and embellishments from the kit and both add-ons. This will make a wonderful early Christmas present for one of our readers and it could be you! The giveaway will close at midnight, December 12th. The winner, selected by a random draw, will be announced the following day. Good Luck! Wow, stunning as usual... missing my kit terribly, hope I can return soon, so in the meantime, keeping my fingers crossed! It's really awesome and cozy giveaway! :) would be amazing to be a winner!!! This is so generous of Leslie, It is all so gorgeous. Would love to win. I am a follower of your blog through Bloglovin. Since Google is going to be doing away with their reader program I have switched reader programs. I use Bloglovin now. Fabulous kit - so wish I lived in a US postage rate district!! Thanks so much for the chance to win the leftovers. The kit is so beautiful, I want more! Thank you for the chance to win. Love it. Thank you for the chance. Frustrated…just cannot seem to get your button on my site! The only thing that shows is the question mark that I see above the hotmail code on this page!! wow what a great Christmas present! Thank you for giving us the opportunity to win such a gorgeous prize! What a great prize! Hope I am the lucky winner! what a fantastic kit! thank you so much for the opportunity! Another Look at December's MMM Kit!